Out of the thousands of people that applied to become the Partner, it is now down to the final three finalists. Before the final challenge begins, however, one candidate’s journey will end. Marcus Lemonis comes to the conclusion that Erin is simply not the right fit since he has so much growing up to do. Juli and Peilin’s challenges involve putting a business plan in place for two Chicago businesses and working with the owners to help them grow. Juli works with Karyn’s Fresh Corner, a restaurant, spa, retailer and learning center. Lemonis likes that Juli immediately creates a connection with the owner, however, he is worried that she didn’t examine the kitchen closely enough. When reviewing the financial statement, Lemonis notes that the company is bloated and inefficient, and he is hopeful that Juli will come to the same conclusion. He worries that she is not viewing the big picture and she begins to doubt herself. Taking a brief break, she admits that it feels like she’s failing to show why she deserves to be the Partner. He encourages her to get back and give 100 percent. No matter the outcome, this experience shaped the woman I will continue to be. Next, Peilin works with Well Made, a home furnishing company. The owner really wants to not only build a company, but also a brand. Lemonis hopes Peilin will be able to ask the right questions and determine what the company needs to succeed. The company’s gross revenue has grown steadily over the past three years, but Peilin worries that the products are a bit all over the place. It is also concerning that there is only a three-man team. Lemonis likes, however, that Peilin is able to ask good technical questions and establish an emotional connection. Lemonis ultimately wonders if Peilin would still like the business if the owner was not as likable. Brandon Knowlden – one of the most passionate and talented people I have ever met! The two candidates then focus on researching the market and developing a business plan to prepare for their presentations. At Peilin’s final presentation, she proposes $250,000 for 50 percent for Well Made. She hopes to focus on the current products and their variations, in addition to better production sources. Lemonis questions why she didn’t use the furniture manufacturing businesses that he has previously invested in as connections. Ultimately, he likes that she saw the heart and soul as more important than the numbers. At Juli’s presentation, she proposes $350,000 for 40 percent of the entire company and 50/50 partners for the expansion of the vegan soft serve ice cream and rejuvelac. Lemonis likes her presentation but feels like the number should have been smaller. He worries, however, that she is still interested in investing in the entire business and not just the rejuvelac and ice cream. At the end of the day, he likes that she is not afraid to challenge him and stand by her beliefs. Your fan favorite is… Juli! In reviewing each candidate’s journey, Lemonis says that he initially liked Peilin’s credentials but thought her interpersonal skills could use some fine-tuning. He believes she has really blossomed over the past few weeks and likes that she is able to be very honest with him. He appreciates Juli’s sincerity but originally thought she showed too much softness. He thinks she has really grown as well. Ultimately, Lemonis chooses Juli to become the Partner. He likes that she always made it clear how much she wanted the opportunity and that she has a good sense of people and good common sense in business. I think either way you win with or . We love that two strong, courageous women are the final two contestants of ! Congrats to both & ! This is probably the toughest task especially with is staring at you. Both and are nailing it! I have to say that on the is very good. She is 100% qualified in all facets. I am still liking . I like both the ladies, so Marcus will have a great partner no matter what. Could u just combine Julie and Peilin? Final decision for -in my opinion, has a win/win situation. Both are great & potential success stories! I knew it! Congrats I pegged this from day 1. You wanted it and were dedicated to being it. 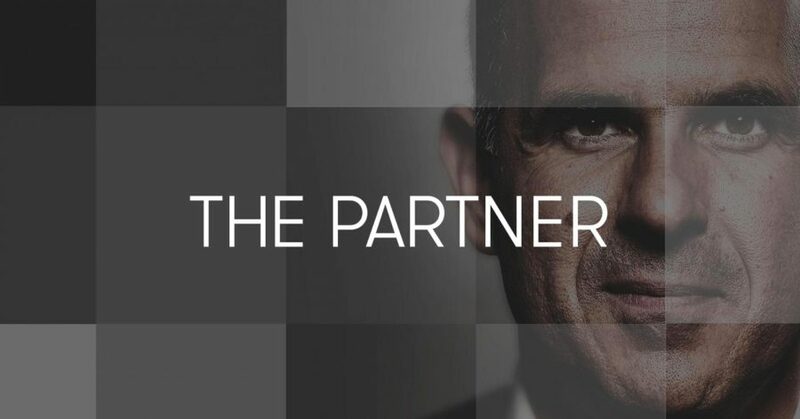 Marcus Lemonis, entrepreneur and host of the hit CNBC show “The Profit,” hopes to find the perfect business partner to help him run his ever-growing portfolio of business investments in “.” In three seasons of “The Profit,” Lemonis has invested nearly $50 million and now seeks a trusted partner. In the end, the partner will receive a half-million dollar contract, an equity stake and the once-in-a-lifetime opportunity to help manage Lemonis’ business empire. The five-episode series airs every Tuesday at 10 p.m. on CNBC. “The Profit” returns Tuesday, June 6. Do you think Marcus Lemonis chose the right person to be the Partner? Were you Team Juli or Team Peilin? Sound off in the comments section below!